Watercolor Paint Poisoning is the accidental or intentional intake of the compound. What is Watercolor Paint Poisoning? Watercolor Paint Poisoning may be also referred to as Swallowing Watercolor Paints and Watercolor Paint Toxicity. What are the Causes of Watercolor Paint Poisoning? What are the Signs and Symptoms of Watercolor Paint Poisoning? Note: It has been generally observed that the presentation of symptoms occur only following consumption of significant quantities of the substance. How is First Aid administered for Watercolor Paint Poisoning? Who should administer First Aid for Watercolor Paint Poisoning? 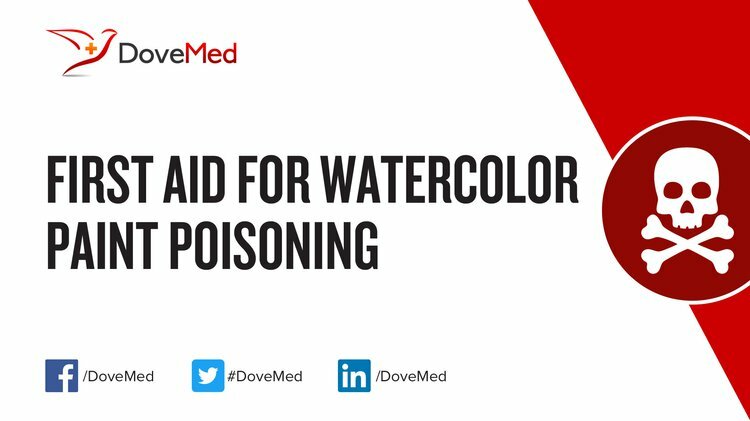 First aid for Watercolor Paint Poisoning is administered by healthcare professionals. What is the Prognosis of Watercolor Paint Poisoning? How can Watercolor Paint Poisoning be Prevented? Rebelo, A., Pinto, E., Silva, M. V., & Almeida, A. A. (2015). Chemical safety of children's play paints: Focus on selected heavy metals. Microchemical Journal, 118, 203-210. Bowers, L. M. R., & Sobeck, S. J. S. (2016). Impact of medium and ambient environment on the photodegradation of carmine in solution and paints. Dyes and Pigments, 127, 18-24. Capua, R. (2014). The Obscure History of a Ubiquitous Pigment: Phosphorescent Lithopone and Its Appearance on Drawings by John La Farge. Journal of the American Institute for Conservation, 53(2), 75-88. Scheinberger, F. (2014). Urban Watercolor Sketching: A Guide to Drawing, Painting, and Storytelling in Color. Watson-Guptill. Gottsegen, M. D. (2011). Interim Report on THE LIGHTFASTNESS CORRELATION PROJECT. MRS Online Proceedings Library Archive, 1319. Soleymani, S., Ireland, T., & McNevin, D. (2016). Effects of Plant Dyes, Watercolors and Acrylic Paints on the Colorfastness of Japanese Tissue Papers. Journal of the American Institute for Conservation, 55(1), 56-70. Potter, P. (2012). Science avant-garde. Emerging infectious diseases, 18(11), 1922. Parraman, C., & Rizzi, A. Analysis of Spatial Image Rendering.